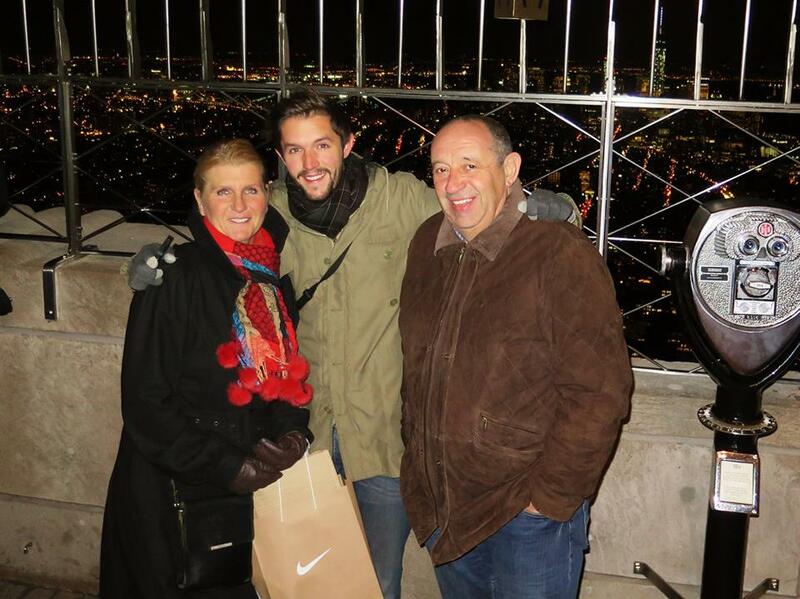 When I met up with them I took them to the Empire State Building because that gives you a real feeling about the size and energy of this enormous city. They loved it. The next day we had the official rehearsals at the Scholastic Auditorium on Broadway. There I met up with the other speakers, hosts, coaches and the organization. What an awesome bunch of people. While waiting for my rehearsal I was chilling with Nile Rodgers (who just won 3 Grammy’s with Daft Punk and Pharrel), GZA and Q-Tip like it was just another day at the office. When it was my turn to get on stage I was a bit nervous. It started pretty good but at some points I forgot parts of my speech and used the ‘F-word’. After the rehearsal everybody had 5 minutes with Jess Teutocino (TEDxTeen), Nile Rodgers and Robert Galinsky. They gave me advice about my speech. I was very calm and confident. Point of improvement: “MTV doesn’t like the fact that you use the ‘F-word’ if they are broadcasting it live in more than 150 countries tomorrow, so please don’t.” Point taken. I checked the rehearsals of GZA, Ryan Orbuch, Marian Bechtel and Lil’ Buck a.k.a. ‘the man made of rubber’. After that I decided to meet up with some Dutch friends. 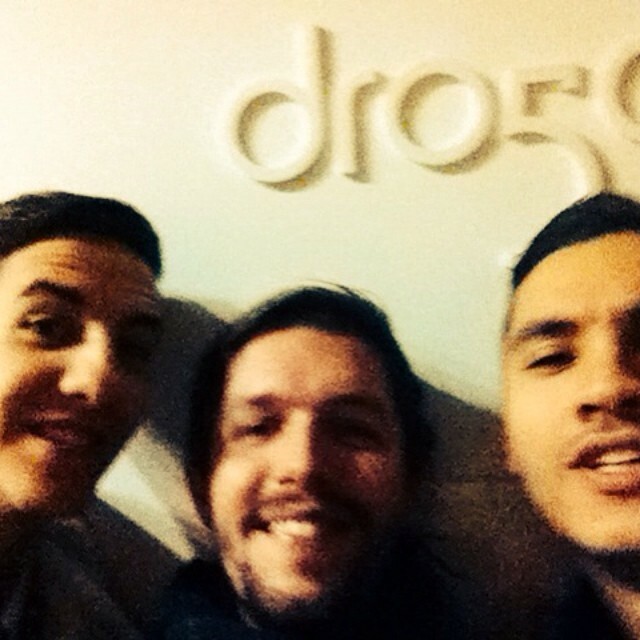 Who occasionally are working at one of the best advertising agencies in the world: Droga 5. We had some good talks with a ‘cap’ and got back to our own paths again. Was great seeing you again boys, keep on rockin’! After a quick diner with mom and dad I locked myself up in my hotel room to practice my talk. The next morning I got up early and went to the Auditorium. The place was already filling up with press, cameras and the crowd. The whole day was such a rush. I saw the most amazing talks. Mine was around 3:50 PM. I took some good deep breaths and stepped on stage. BOOM. The world was watching. I was full of adrenaline and just did it. I forgot some words or sentences I wanted to say but as I heard from some people of the audience it turned out quite good. MTV Act liked it as well. Since they tagged me as one of their favorite speakers, amongst GZA, Nile Rodgers, The Bumbys, Sana Amanat and Marian Bechtel. 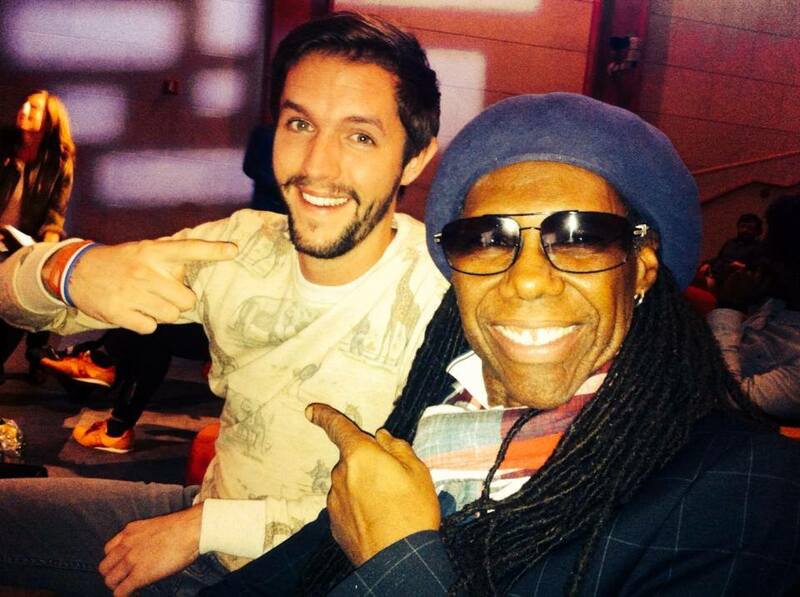 After my speech, Nile Rodgers called me to get back on stage. There, while the whole world was watching, he offered me a job at his studio to be an intern! I’ll be back in NYC around May so I’ll save that internship for later. That’s just CRAZY right?! After NYC I took the big leap over the world back to Asia. At the moment I’m writing this blog post in my swimming pants, with some fresh pineapple juice on Gili Trawangan, a beautiful little island of Indonesia. The sunsets are stunning. The weather is sweet. Everybody is chilled out and smiling. I love it here. My next internship is at Oceans 5 Dive, a Multi Award Winning IDC Dive Resort located on Gili Air. So this Wednesday I’m gonna dive deep into the world of turtles, barracuda’s, manta rays and sharks. Arrrrrrrr! Wij hebben juist jouw speech gezien. Hardstikke cool en goed gepresenteerd. Ook wij zijn trots op jou! Zelf ben ik met Machiel in april 95 ook ook datzelfde eiland, Gili Trwangang geweest. Wij hebben daar heerlik gesnorkeld in het lauwwarme water. Lekker chillen en White Snapper van de grill gegeten. Heerlijk. Wij blijven jou met veel interesse volgen. that’s so amazing.. u r a true inspiration 🙂 see u soon!